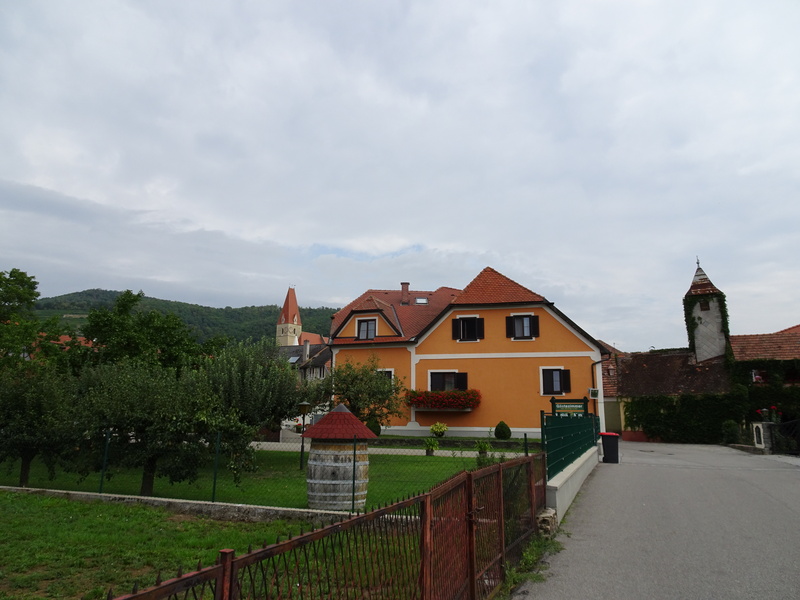 In August and September 2015, Charlie and I visited Austria and Hungary, visiting the wine regions of the Wachau, Kremstal and Burgenland in Austria, and the Tokaj, Sopron, Etyek and Pannonhalma in Hungary. 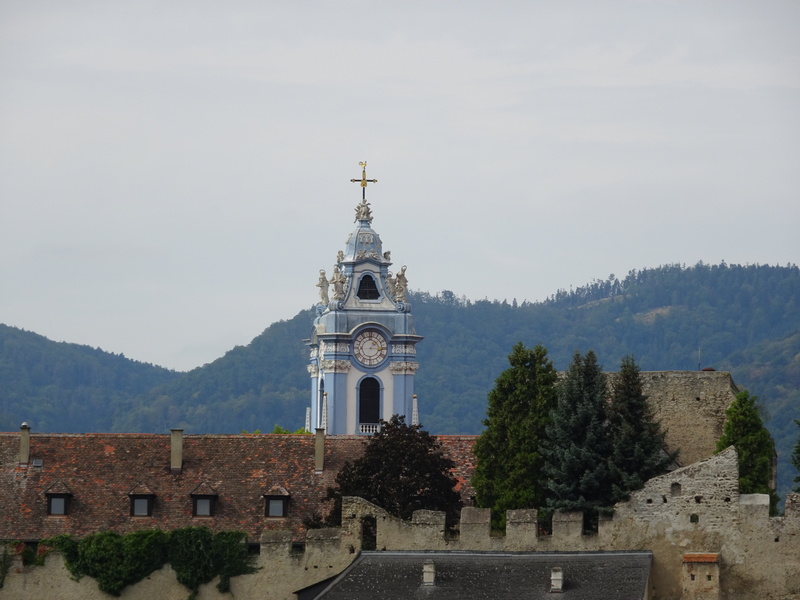 This post covers our stay in Austria; click here to read about our stay in Hungary. We flew into Vienna, and spent a few days there walking around the city. 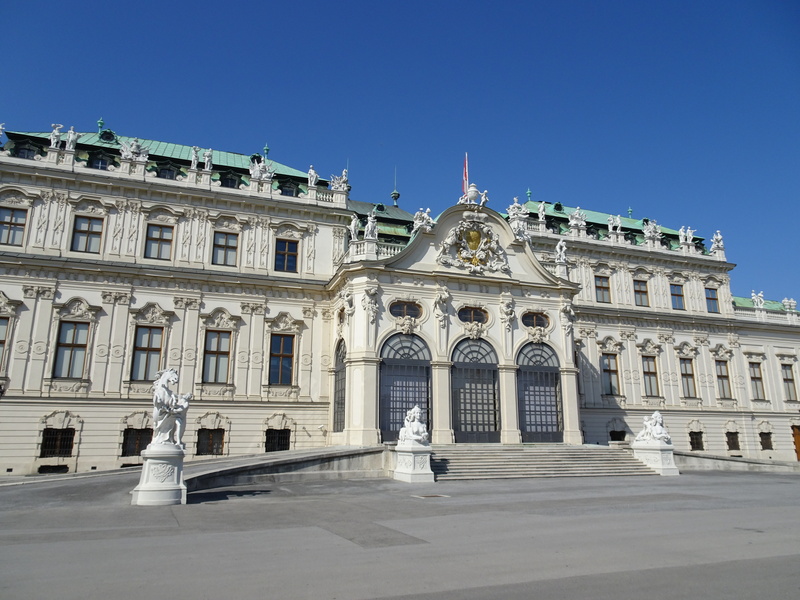 Vienna is a beautiful city with many amazing palaces and museums. For the first full day in Vienna, we had a private tour guide (http://www.my-vienna-guides.at/start.html?L=4), and using Bettina Mandl to introduce us to Vienna proved to be an excellent way to get a good overview of the city. 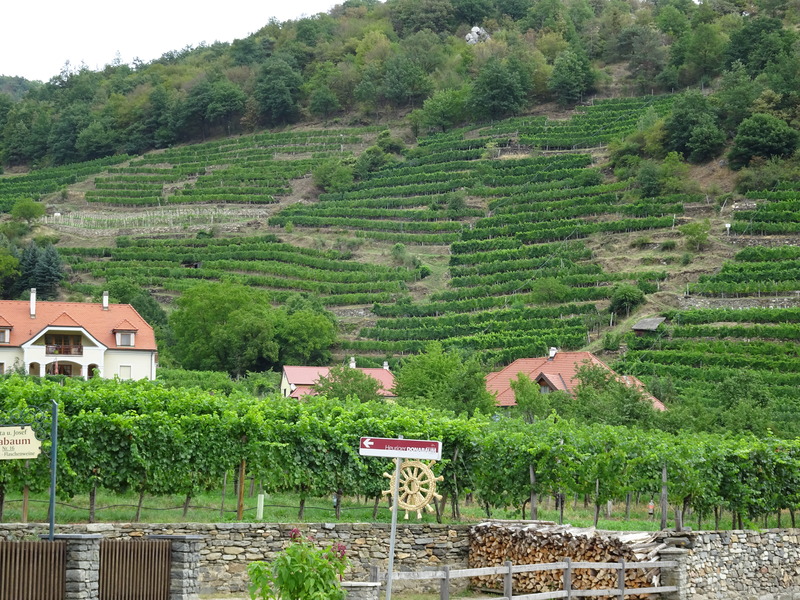 After Vienna, we rented a car and drove to the wine regions of the Wachau and Kremstal to spend the next five days. 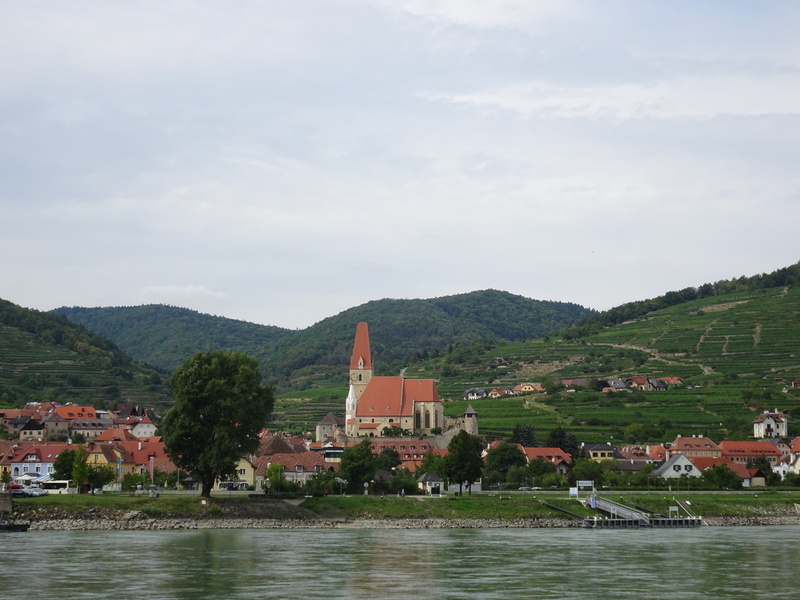 The Wachau is a beautiful part of the world! 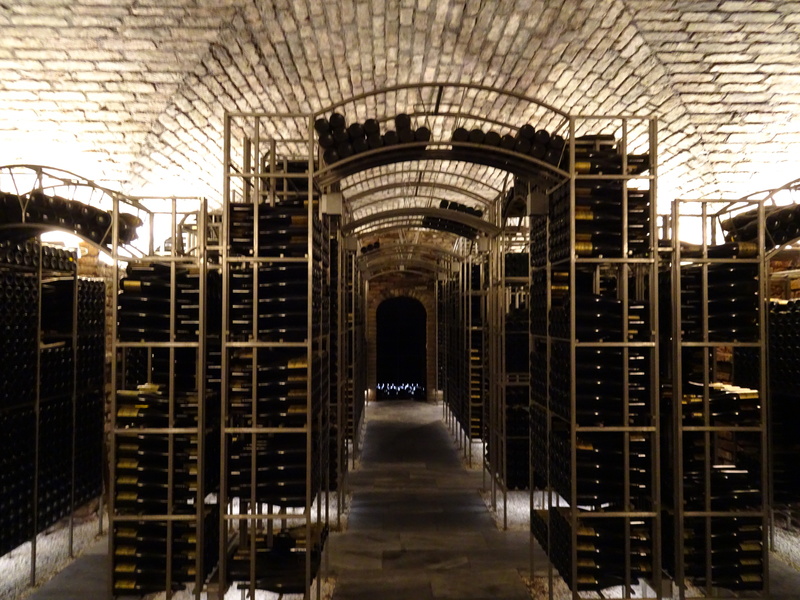 Prior to traveling, I had made appointments at several weinguts (wineries), and we enjoyed every visit and tasting. Everyone gave us a warm welcome, and everyone was generous with his or her time and their wines. 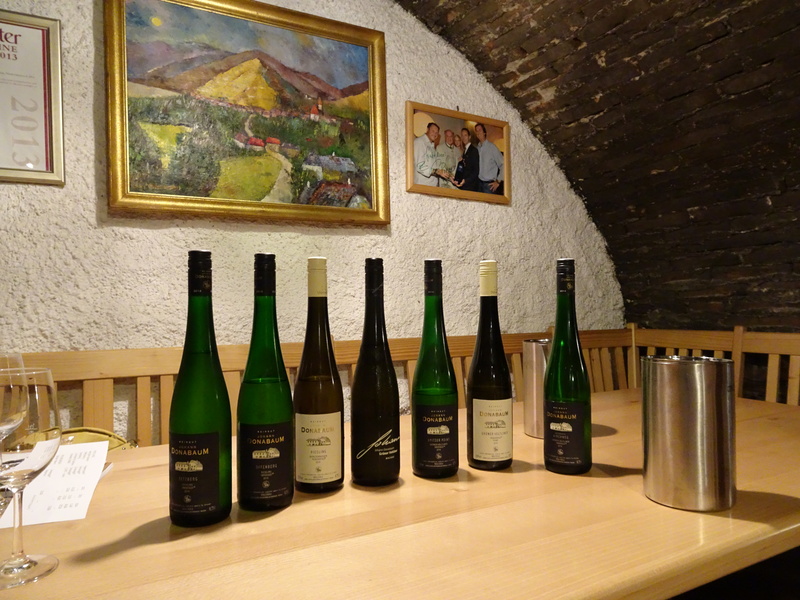 Charlie and I had only limited experience with the wines from the Wachau and Kremstal, but we found the Grüner Veltliners and Rieslings to be exceptional. 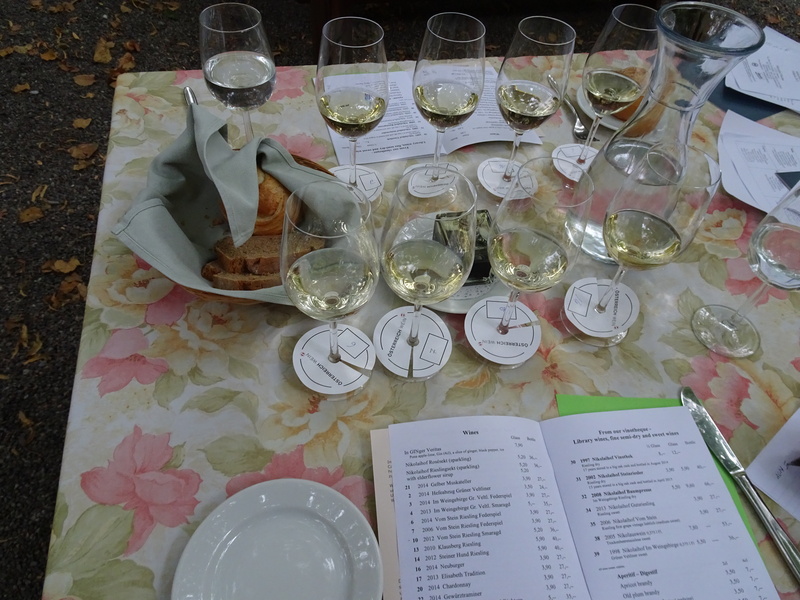 We will certainly be drinking more Austrian wines in the future! After our stay in the Wachau, we drove back to Vienna where I had arranged with Taste Hungary (http://tastehungary.com/) to pick us up and drive us to Budapest, stopping in the Burgenland (Austria) and Sopron (Hungary) along the way. 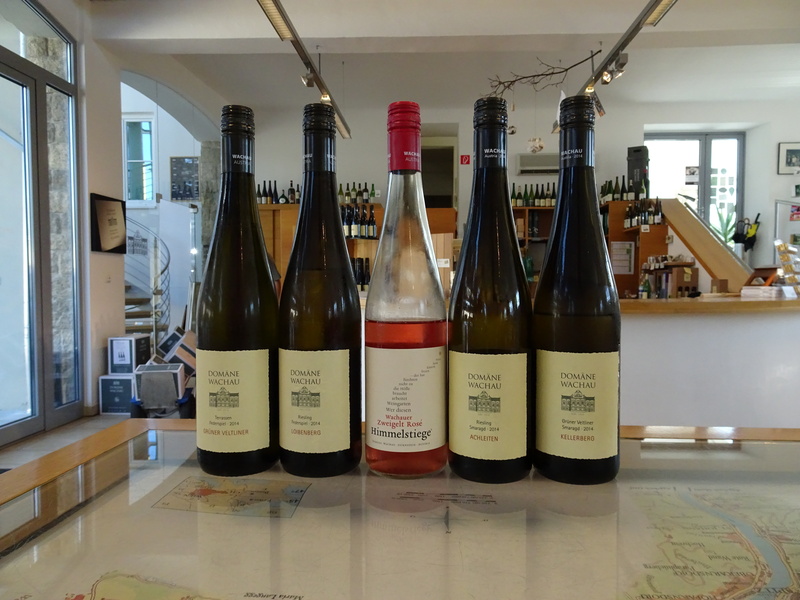 Our two visits in Burgenland are described below. If you have read my prior blogs, you know that I am not the best describer of wines. So, I have provided you with my overall impression, and whether I would buy the wine – my best recommendation. Additionally, if a comment about the wine is in quotes, the comment is from the person pouring the wine (winemaker, family member, etc.). More importantly, my notes should give you a good idea of what to expect if you visit. 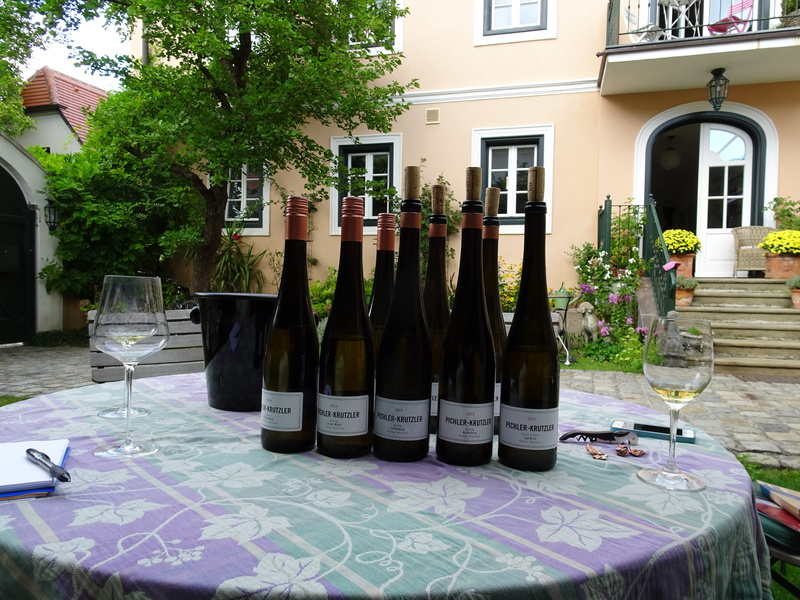 Further, for those of you not familiar with Austrian wines, white wines from the “Wachau Winegrowing Area” can be designated by members of the Vinea Wachau as a Steinfeder (the lightest style, with no more than 11.5% alcohol), Federspiel (alcohol level between 11.5% and 12.5%) or Smaragd (wines with at least 12.5% alcohol). 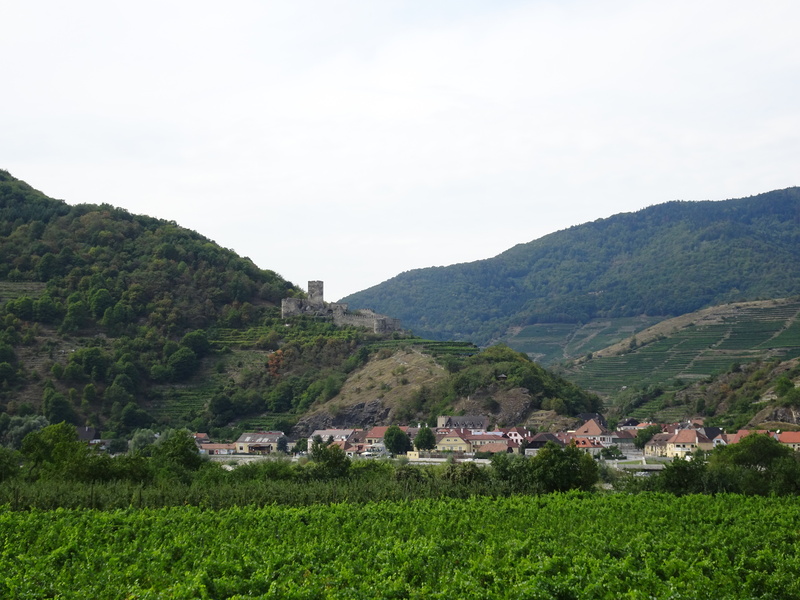 A good description of the differences between these wine designations can be found here: http://austrianwineusa.com/2012/01/31/austrian-wine-words-steinfeder-federspiel-smaragd/. 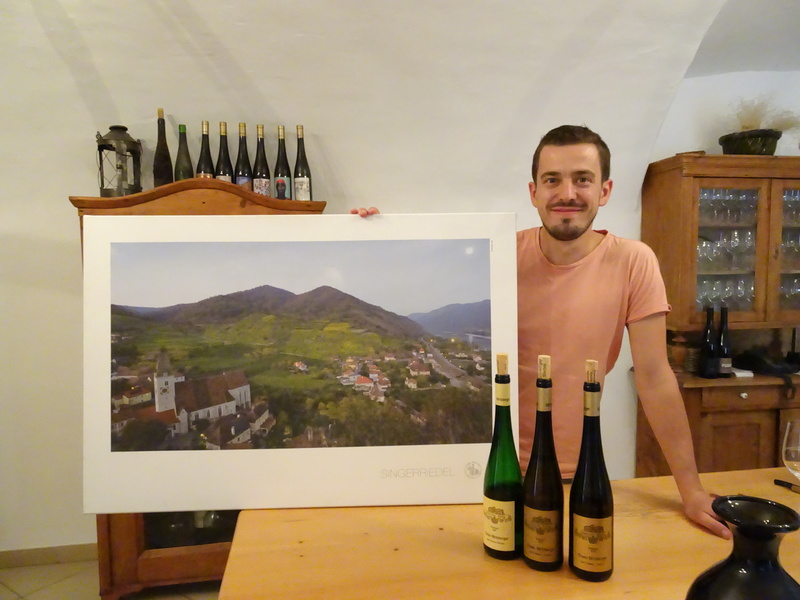 Finally, most non-German speaking wine drinkers would hesitate to ask for Austrian wines in a wine store or restaurant because of the difficulty in pronouncing the names. But, do yourself a favor – try these wines! Weingut Geyerhof located in Oberfucha (http://www.geyerhof.at/) – visit and tasting with Maria Maier. 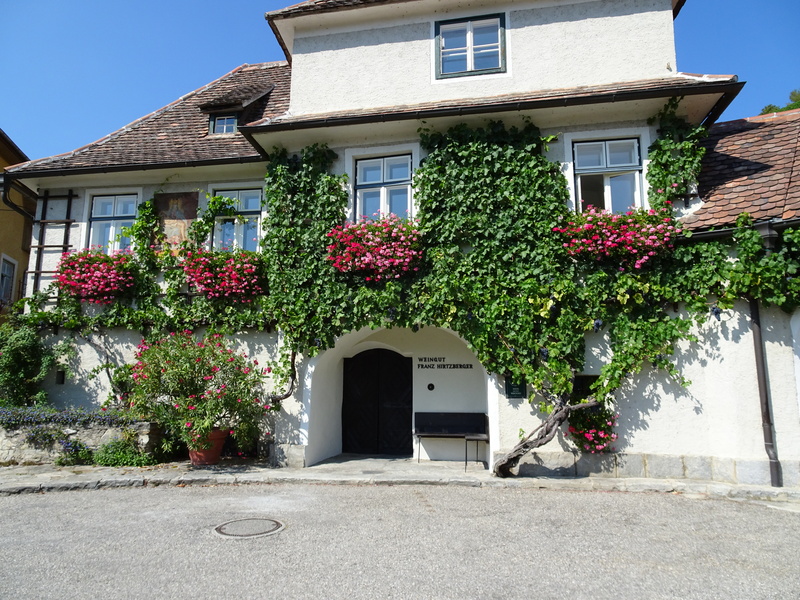 The Maier family owns Geyerhof, and Maria is married to Josef Maier, the current winemaker and the son of Ilse and Josef Maier. 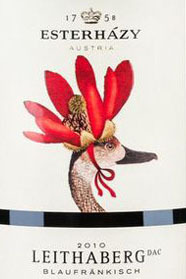 Maria is heavily involved in managing Geyerhof’s organic vineyards and the Wildwux project (a joint venture with Burgenland winemaker Brigit Braunstein) (http://www.wildwux.at/). 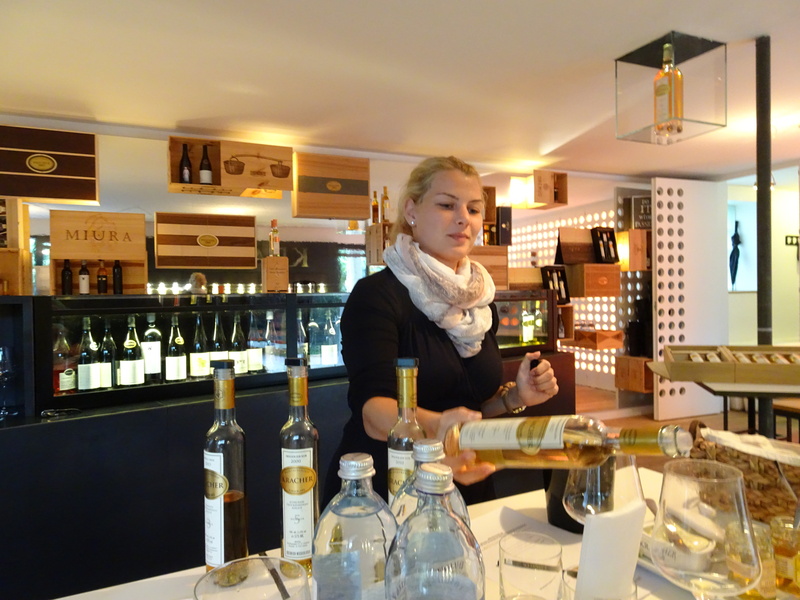 Maria was very personable and informative, and she was generous with the wines. Charlie and I really enjoyed our visit to Geyerhof, and Maria set a high bar for the remainder of our visits! 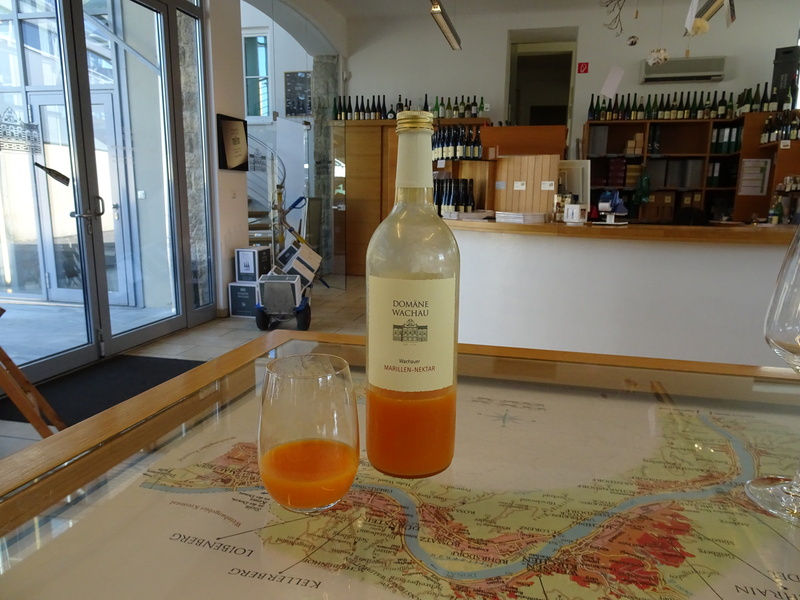 We also tasted the Marillen-Nektar, a non-alcoholic apricot nectar (cellar price of 7,40 €) – this was really good. 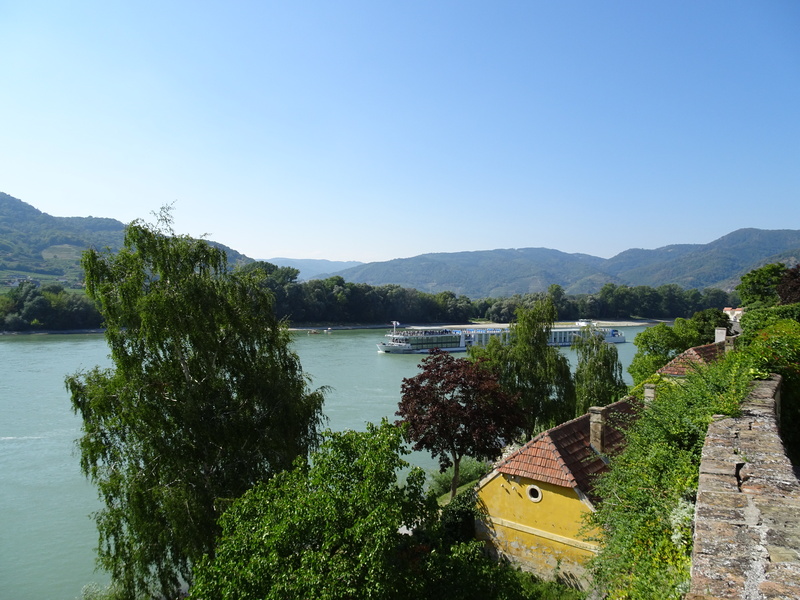 Throughout our stay in the Wachau, a common aperitif was apricot nectar mixed with an Austrian sparkling wine, or with sparkling water, or with a grüner veltliner. Highly recommended! 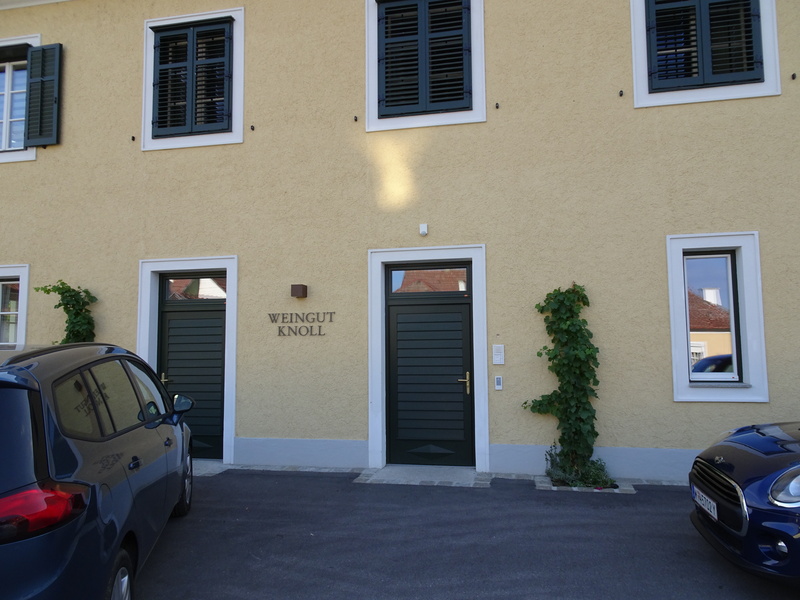 Weingut Johann Donabaum in Spitz (http://weingut-donabaum.at/) (email at info@weingut-donabaum.at) – our initial visit and tasting was with Johann’s mother, then Johann joined us for the tasting. Weingut Rudi Pichler in Wösendorf (http://www.rudipichler.at/en/home/)– visit and tasting with Rudi and his daughter, Theresa. Rudi is an articulate and passionate winemaker, although he prefers the term “wine caretaker.” He emphasized that the “basis for our wines are our stones.” Charlie and I very much enjoyed the time we spent with Rudi and Theresa, and the wines we tasted were excellent. Note that all of the wines were served in Zalto “Rudi Pichler” glasses (http://www.rudipichler.at/en/rudi-pichler/wine-glass/). Rudi designed these glasses for Zalto, and in addition to using these wine glasses to serve Grüner Veltliner and Riesling, Rudi thought they were great to use for Champagne. So, of course, we had to find them in a wine store in Spitz, and buy 6 of them! 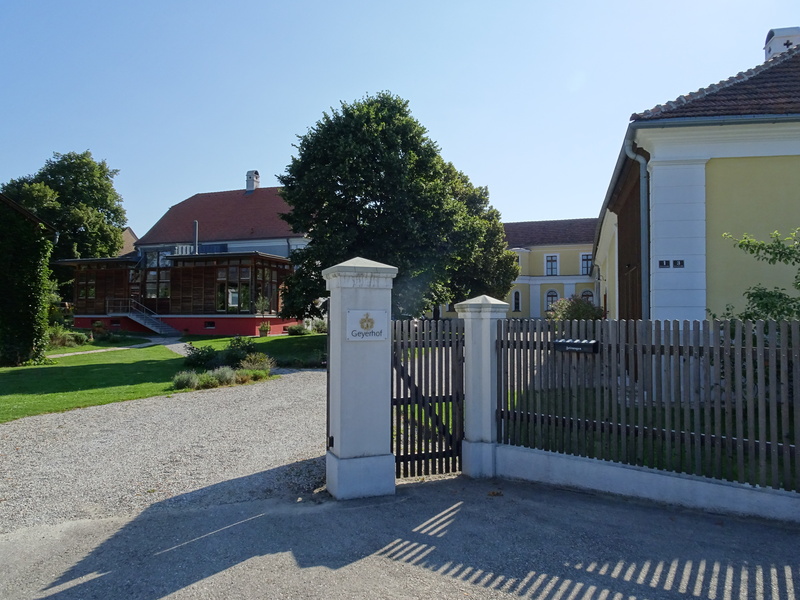 Nikolaihof in Mautern (http://www.nikolaihof.at/en) – owned by the Saahs family, and Christine Saahs is the sister of Ilse Maier of Weingut Geyerhof. Nikolaihof has been practicing biodynamics since 1971, and became certified as biodynamic in 1998.
different wines, so collectively 8 different wines. We did so, started tasting, and then ordered dinner consisting of a charcuterie plate and farm-fresh fried zucchini to accompany the wines. 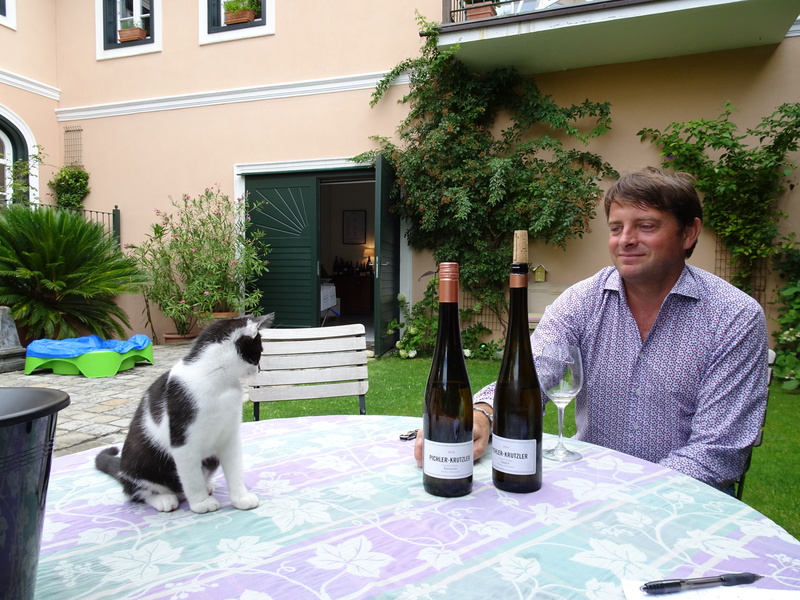 Of the 8 wines tasted, my favorite was the 2013 ElizabethTradition (a blend of Grüner Veltliner, Riesling and Weissburgunder), while Charlie’s favorite was the 2012 Steiner Hurd Riesling. 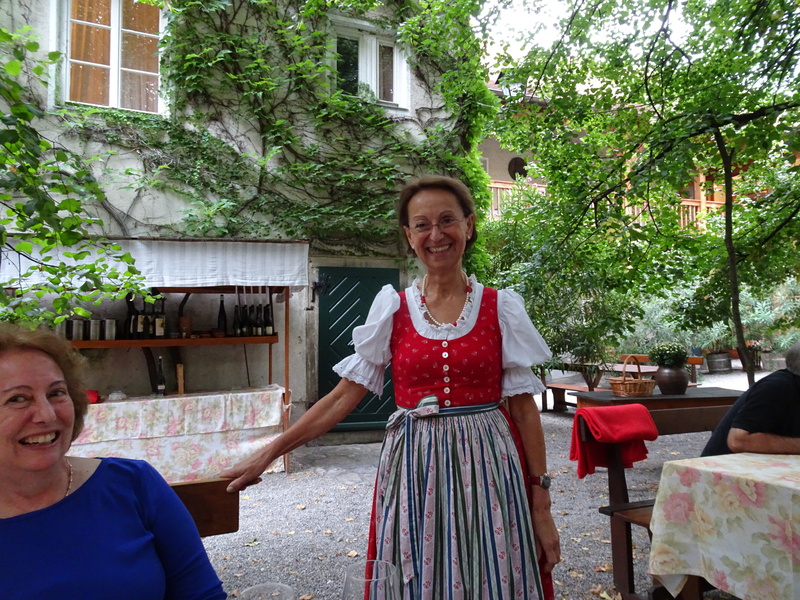 During the meal, Mrs. Saahs came by and talked with us awhile about her wines and biodynamics. As it turned out, our visit to Nikolaihof was very nice. 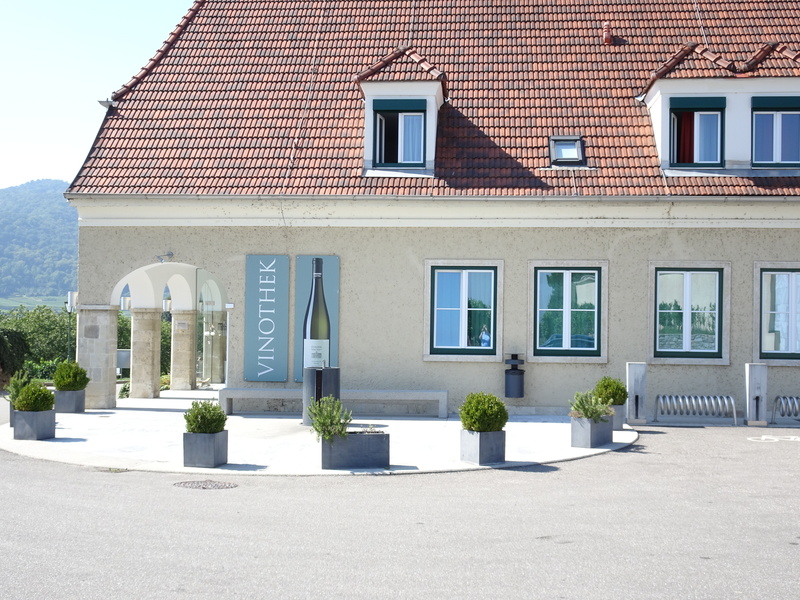 Pichler-Krutzler in Oberloiben (http://www.pichler-krutzler.at/) – this weingut was started in 2006 by the husband and wife team of Elisabeth Pichler-Krutzler and Erich Krutzler. Elisabeth is the daughter of F.X. Pichler, and Erich is from a winemaking family in Burgenland (which is why a Blaufränkisch makes its way into their wine portfolio). Pichler-Krutzler doesn’t designate their wines as Seinfelder, Federspiel or Smaragd, because Erich believes the vineyard, or terroir, is more important than the alcohol level (which can fluctuate from year to year because of the weather). Our tasting was with Erich in their home’s backyard garden (the home is also the home of F.X. Pichler and his wife). 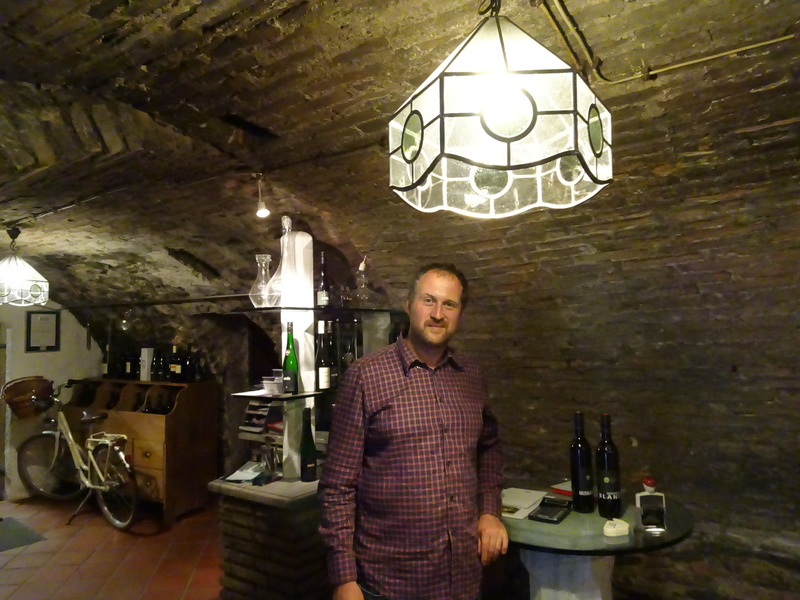 This visit and tasting was one of Charlie’s and my favorites, and the Pichler-Krutzler wines were among the best we tasted. 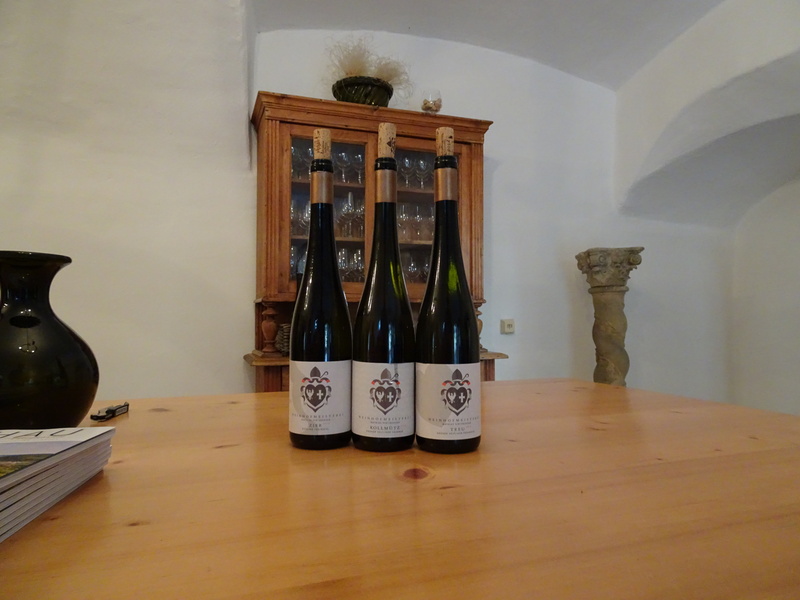 Weingut Emmerich Knoll in Unterloiben (http://www.knoll.at/) – Knoll wines are easily recognized by their distinct label that depicts an ornate image of St. Urban, the patron saint of wine growing. 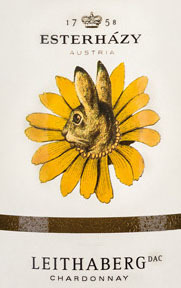 This label has been on the Knoll wines since 1962. 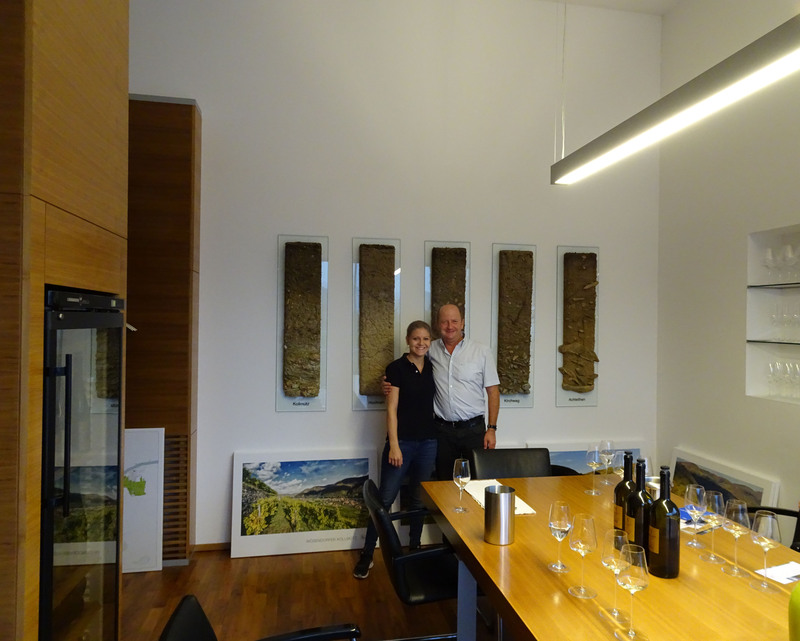 A very nice visit and tasting with Emmerich III, the current winemaker. Kracher in Illmitz (http://www.kracher.at/en/) – Charlie and I had never tasted Kracher’s wines, but I had read a great deal about them. 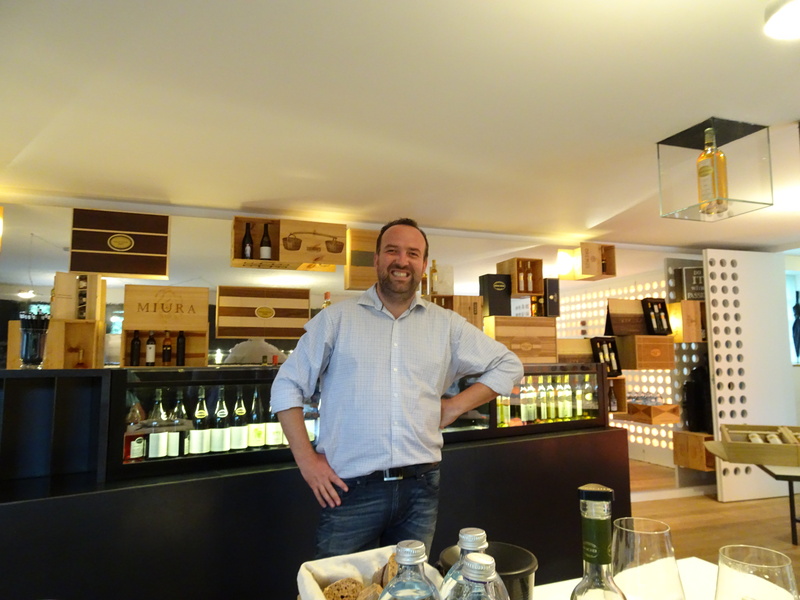 So, I asked Gábor with Taste Hungary to try to set up a tasting with Gerhard Kracher. 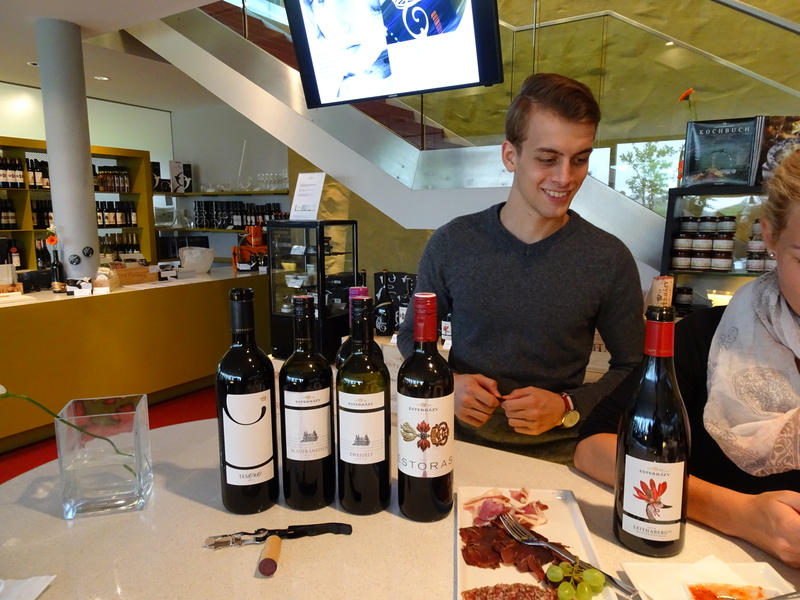 Gábor was successful in setting up a really great visit and tasting. Gerhard is a personable and, from my impression, fun-loving guy. The tasting room had an almost party like atmosphere, and I think that was in large part because Gerhard was there pouring his wines. The tasting included bleu cheese with wine jellies, and “little, spicy sausages” that Gerhard said we had to try. They were great with the sweet wines! While in Vienna, we stayed at Hotel Sans Souci (http://www.sanssouci-wien.com/en/index.html). 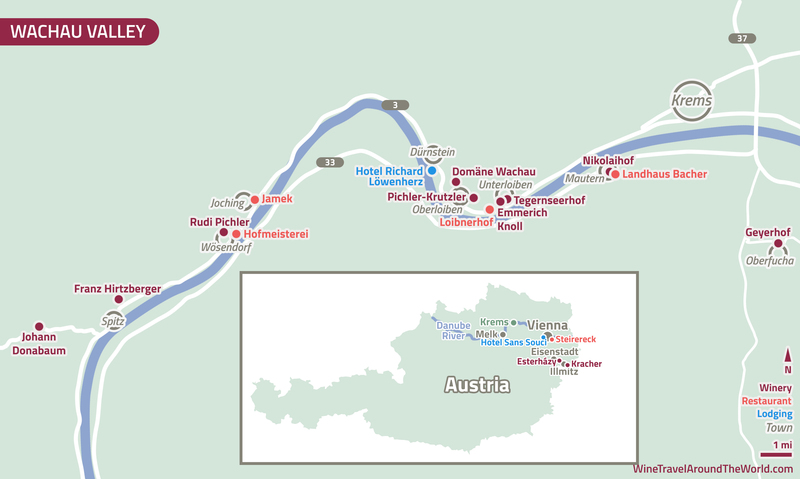 We stayed at the Hotel Richard Löwenherz in Dürnstein (http://www.richardloewenherz.at/en/) while in the Wachau. I would highly recommend both of these hotels. 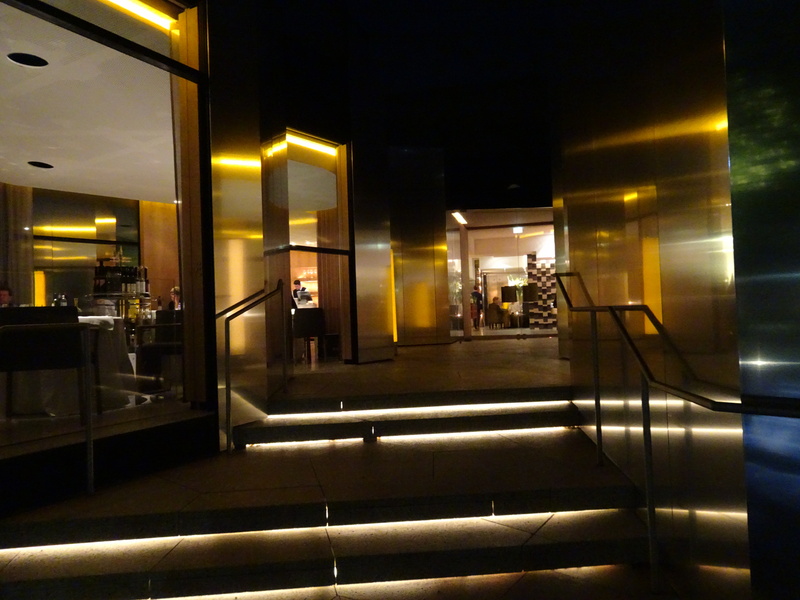 While in Vienna, we ate dinner at Steirereck (https://www.steirereck.at/en/restaurant/). Charlie and I both selected the 7 course tasting menu with wine pairings (although we selected different items for some of the courses). 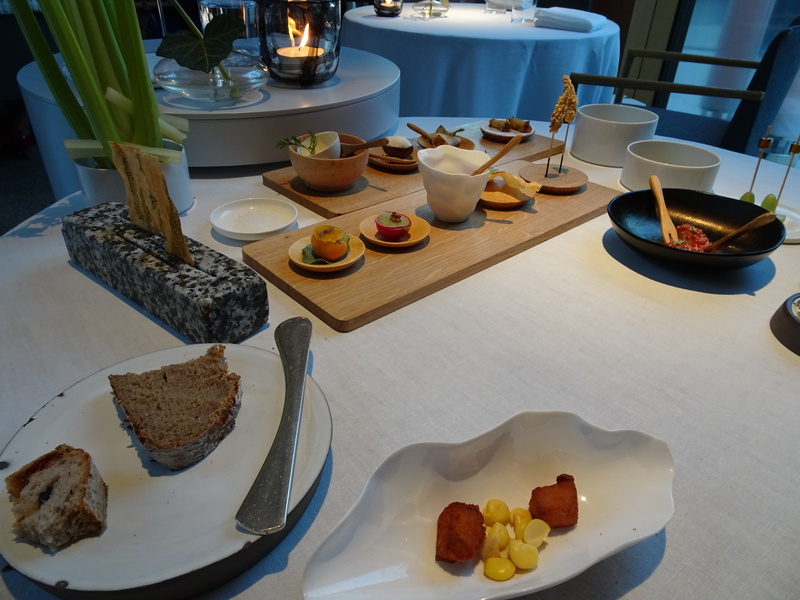 Steirereck is considered one of the top restaurants in the world, and while we enjoyed the meal, and the wine pairings were excellent, neither of us thought our dinner was outstanding. And, despite what the Michelin guide says, Steirereck is not air conditioned! 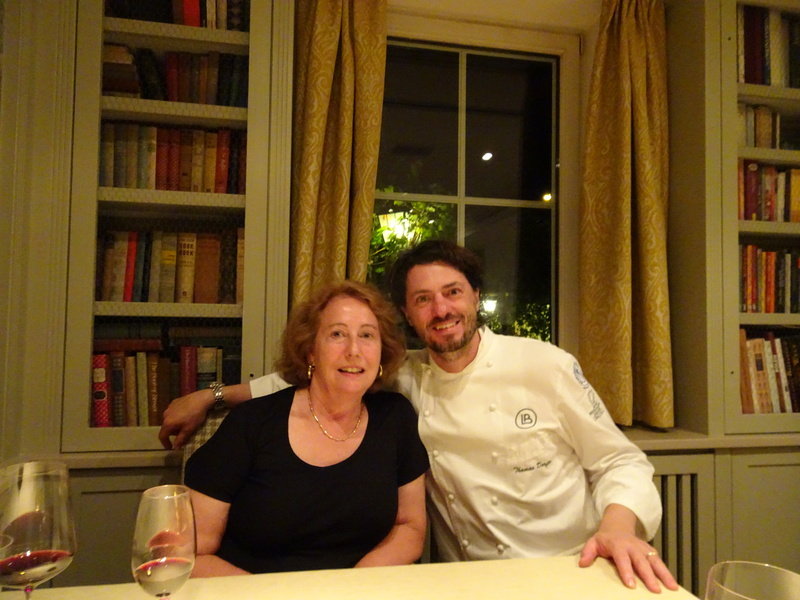 On the other hand, while we were in the Wachau, we did have one of the best dinners we have ever eaten in the world at Landhaus Bacher in Mautern (http://www.landhaus-bacher.at/home/). Charlie and I both had the 6 course tasting menu with wine pairings, and the meal was outstanding! 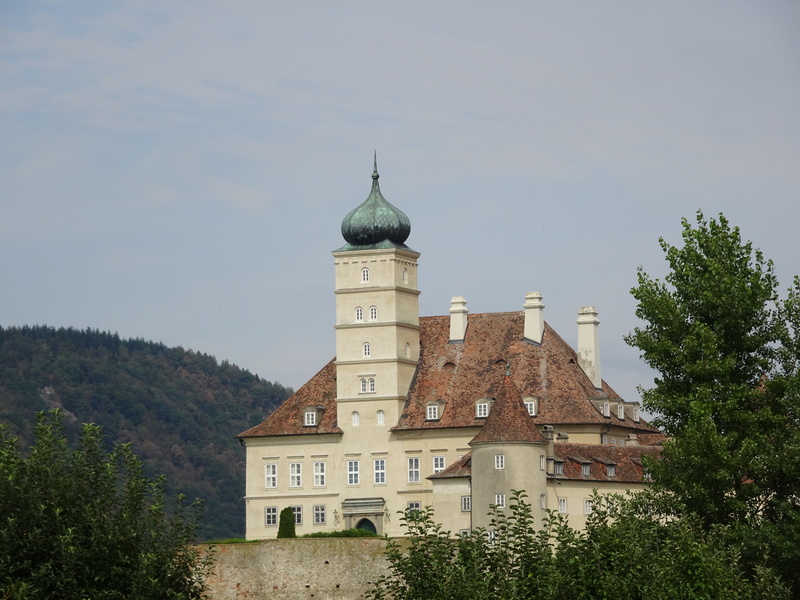 We also had some nice lunches while in the Wachau. The best lunch (a great duck dish) was at Loibnerhof in Unterloiben (http://www.loibnerhof.at/). This restaurant is owned by the Knoll family, and serves a wide selection of (only) Knoll wines. 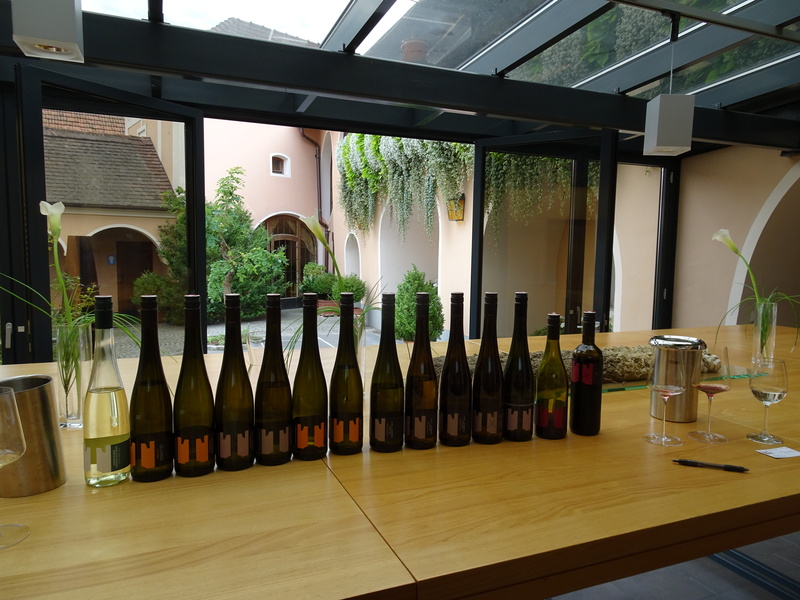 We also had a very nice lunch at Hofmeisterei in Wösendorf. 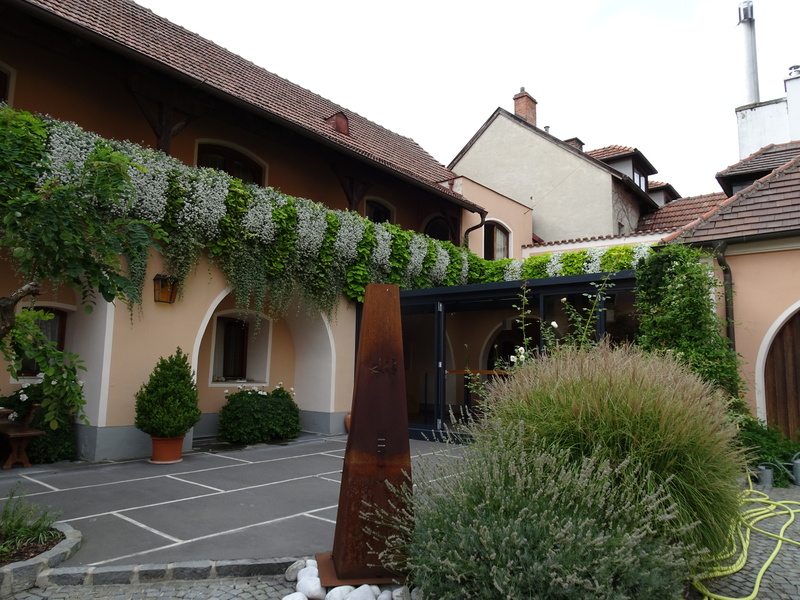 This restaurant is affiliated with Weingut Franz Hirtzberger, so it serves a wide selection of (only) Franz Hirtzberger wines. 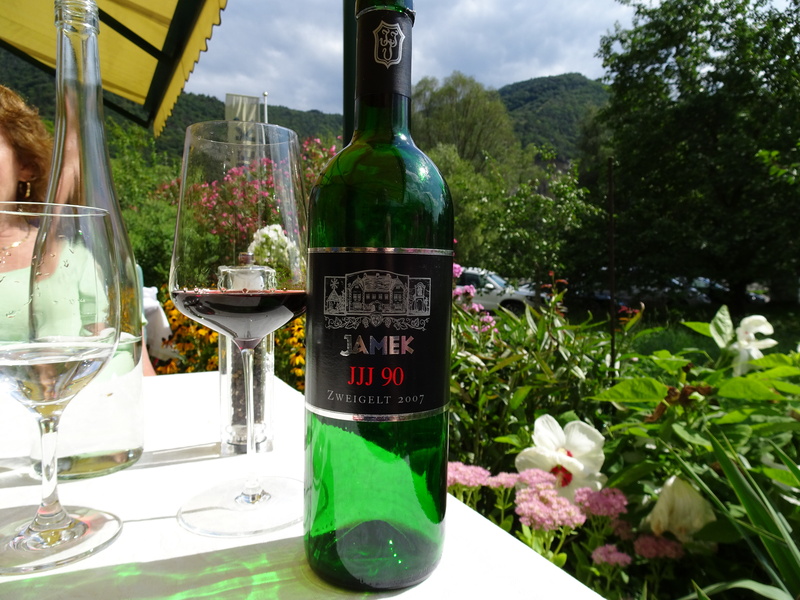 Finally, we had a nice lunch at Restaurant Jamek in Joching (http://www.weingut-jamek.at/restaurant.php?id=13). 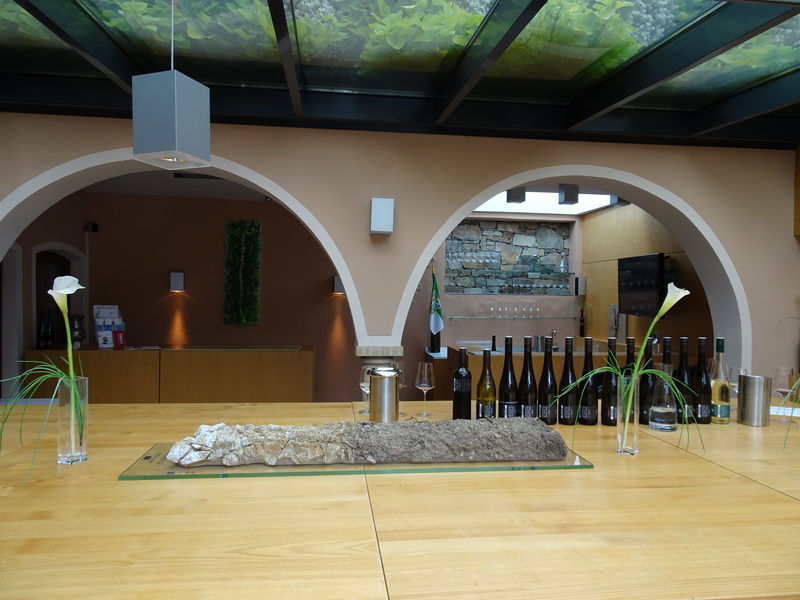 This restaurant is owned by Weingut Jamek, and we had a really nice bottle of their 2007 Zweigelt (the JJJ 90). We rented our car in Vienna from Sixt, a German car rental agency. 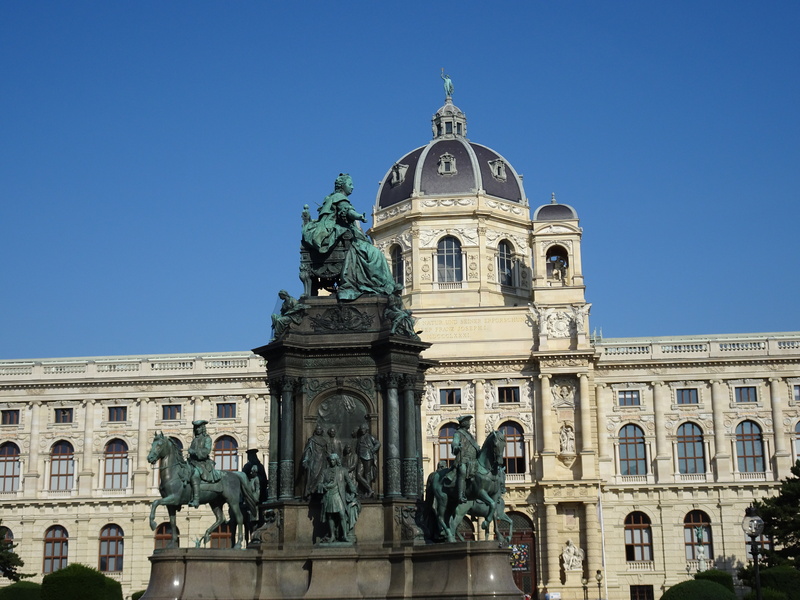 We were originally going to take the high-speed train from Vienna to Budapest and back. But, we changed our plans after reading the Taste Hungary web site, and our choice proved to be a good one. Not only because the drive with Virág and Tibor (guide and driver from Taste Hungary) was most enjoyable, but also because of the problems at the Budapest train station during our stay. You should be aware that there is a speed trap outside of Wösendorf (on the Dürnstein side). We had never encountered a true speed trap in Europe before this trip, but this was about an obvious of a trap as you will ever see. So, don’t exceed 50 km/h in this area! 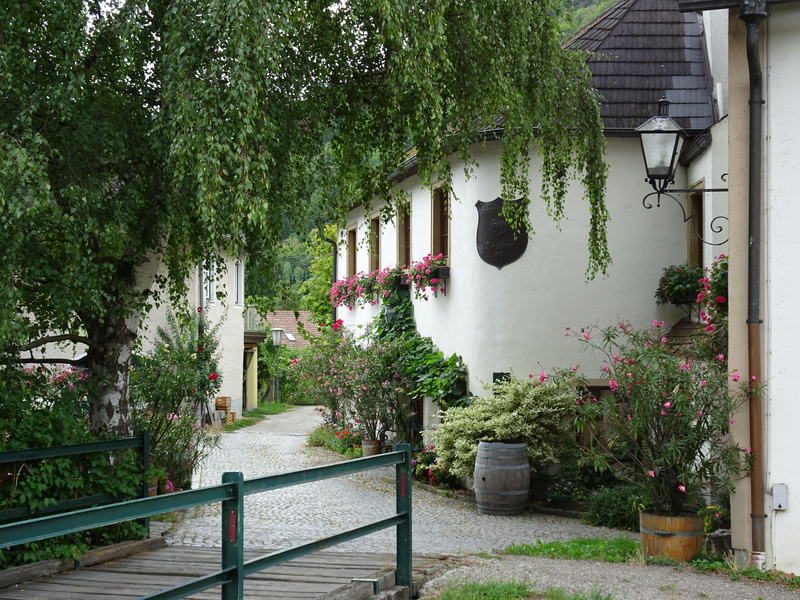 Heurigers (wine taverns) are plentiful in the Wachau. If you see a straw wreath (or what looked to us like a straw ship’s wheel), it means the heuriger is open. 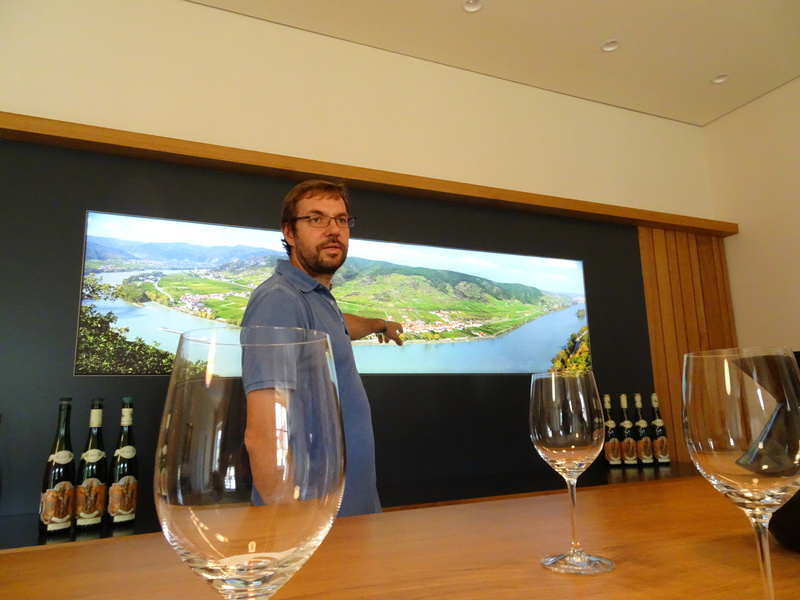 I have seen several American web sites that state that “Wachau” is pronounced VOC aw. However, throughout our stay, the emphasis was on the second syllable, or va COW. Similarly, I always pronounced Grüner Veltliner as GREW ner VELT lee ner. However, when I said this grape/wine for the first time to an Austrian, she didn’t know what I was saying. Say [GREW ner] va LEEN ah, or vet LEEN er (but always with the emphasis on the second syllable). While you are in Austria, try an Almdudler, a non-alcoholic drink that is really good and refreshing (especially on those hot days in Vienna)! 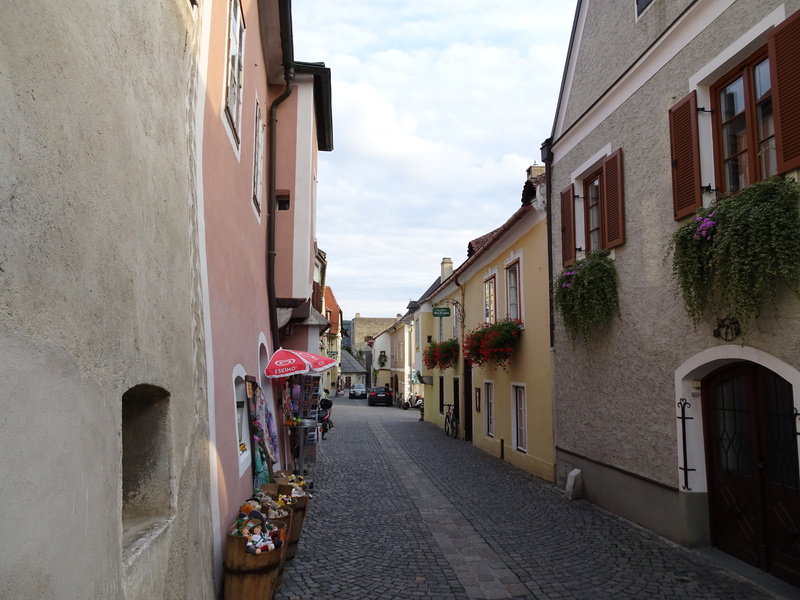 This entry was posted in Austria by Marilyn. Bookmark the permalink. I wasn’t kidding when I said everyone was generous with their wines!